Made in Torino, Italy in the 1970s. 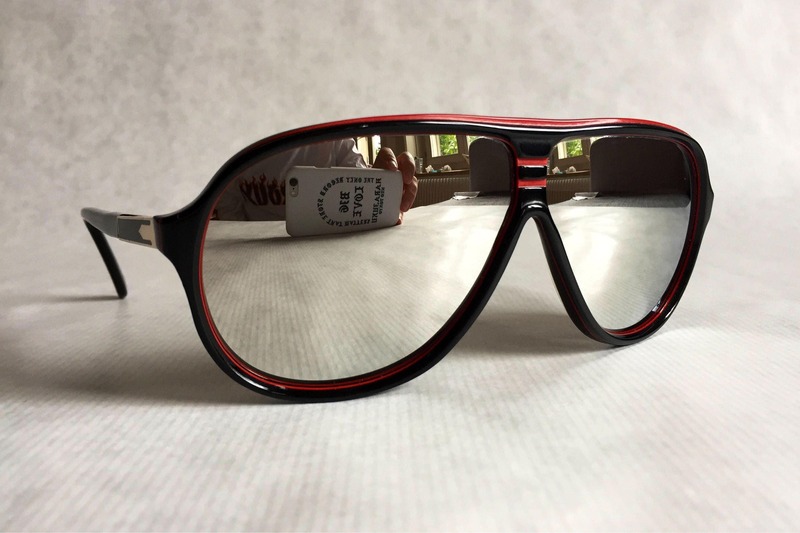 New Unworn Deadstock, frame and lenses in perfect condition. All inner temple markings intact. 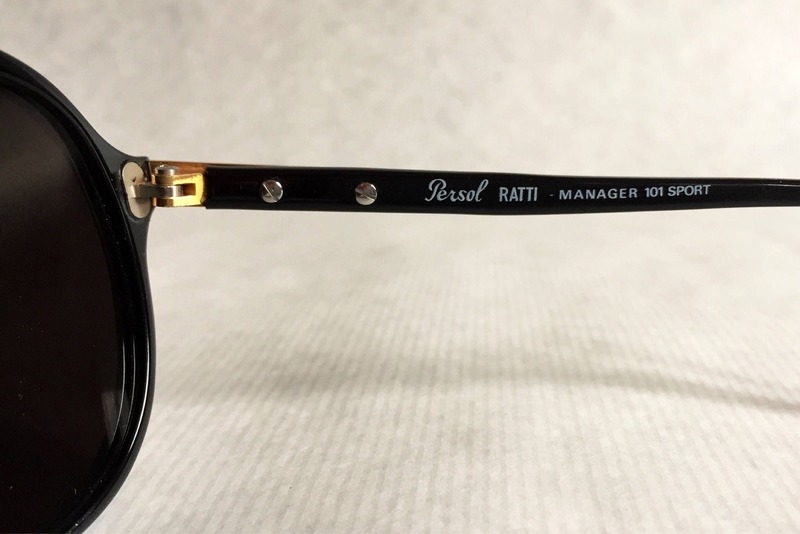 This extremely rare frame is the ultimate triple threat: A Persol Ratti MANAGER from the SPORT series with NEOPHAN mirror lenses. 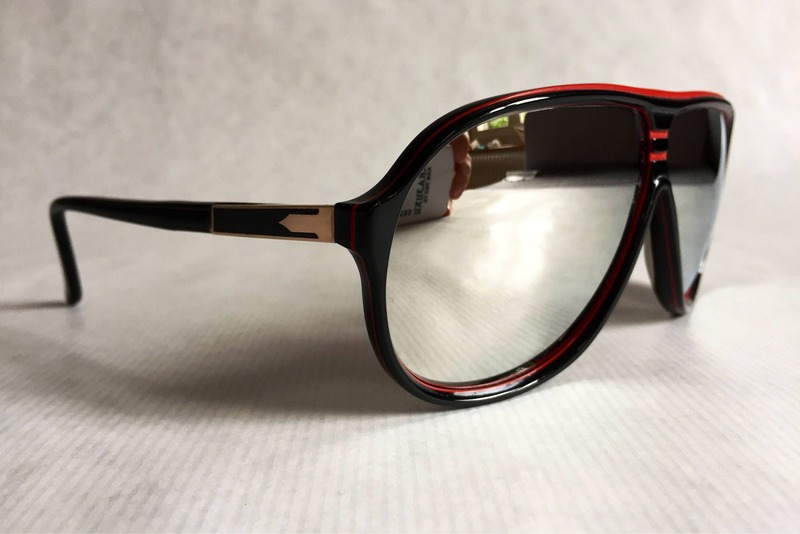 A frame of breathtaking beauty, it combines the perfect geometry of the MANAGER with the unique black and red design from the SPORT series. 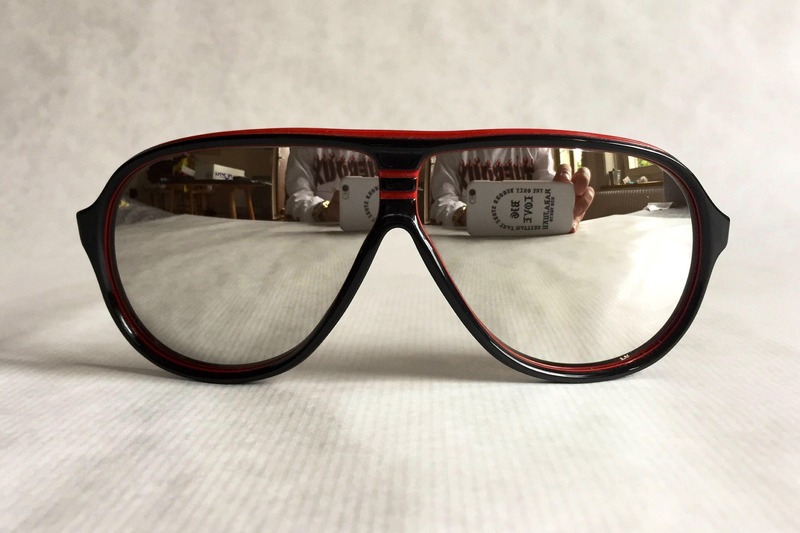 To top it off, the silver mirror Neophan lenses offer the ultimate sun protection and looks. 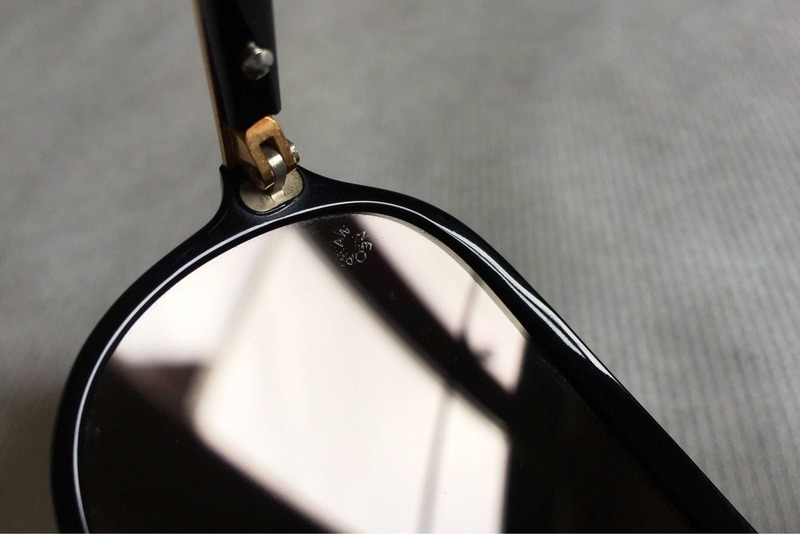 These legendary German crystal lenses date as far back as 1945 and are of unmatched quality, preceding the crystal Persol lenses. the signature gold metal arrows with black china details give this piece of art the last touch. Almost too beautiful to be worn, they are too sturdy to be kept on display and are meant to be worn in any condition. 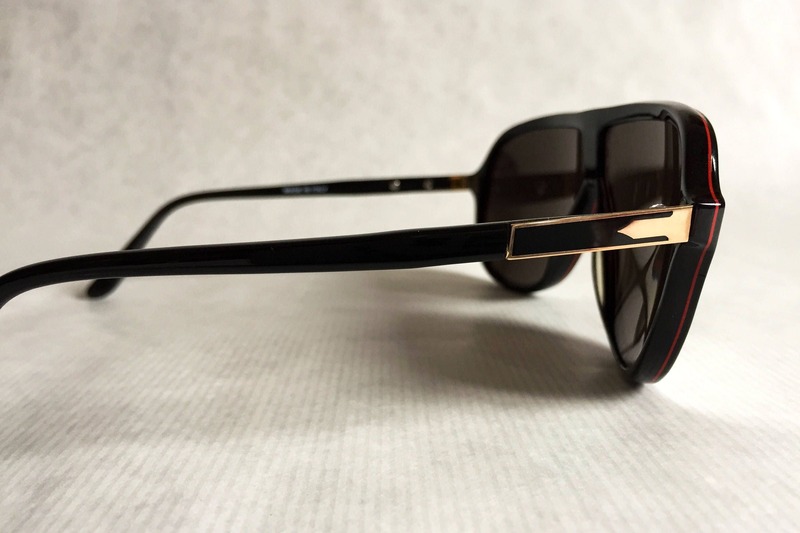 Created and designed by Guiseppe Ratti, founder of Persol (per il sole = for the sun). 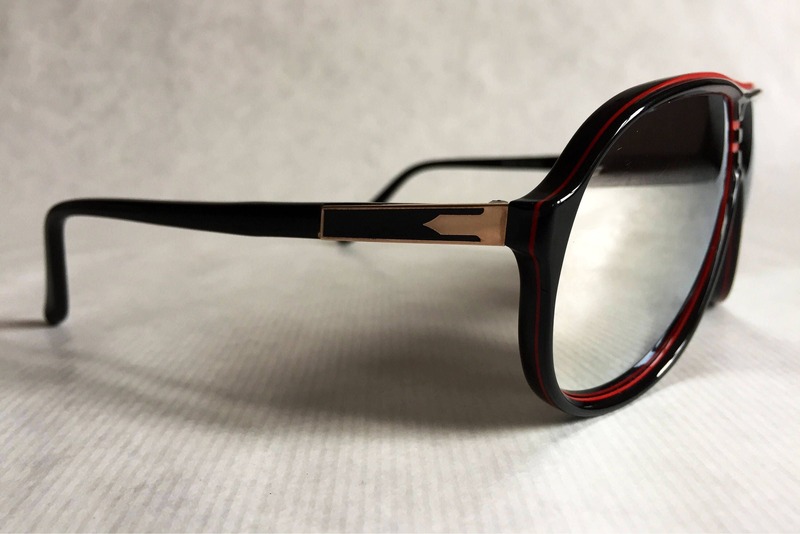 Frame: Black acetate laced with red acetate. 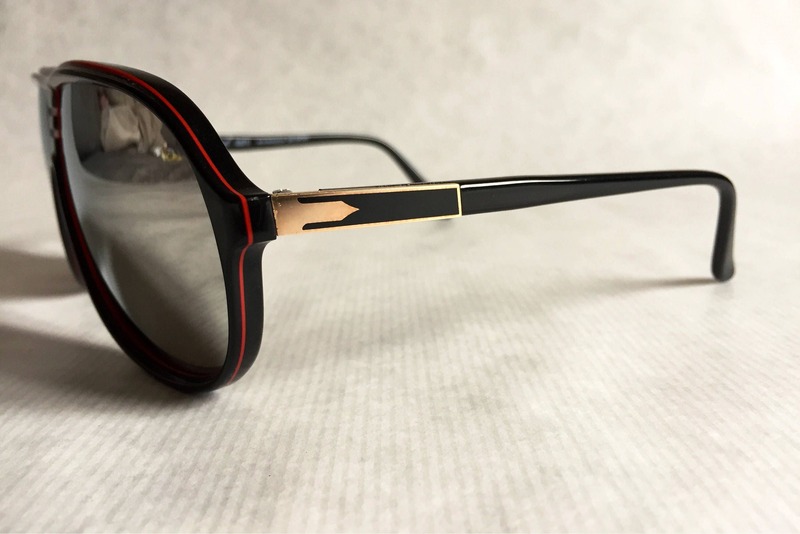 Gold metal temples with black china. 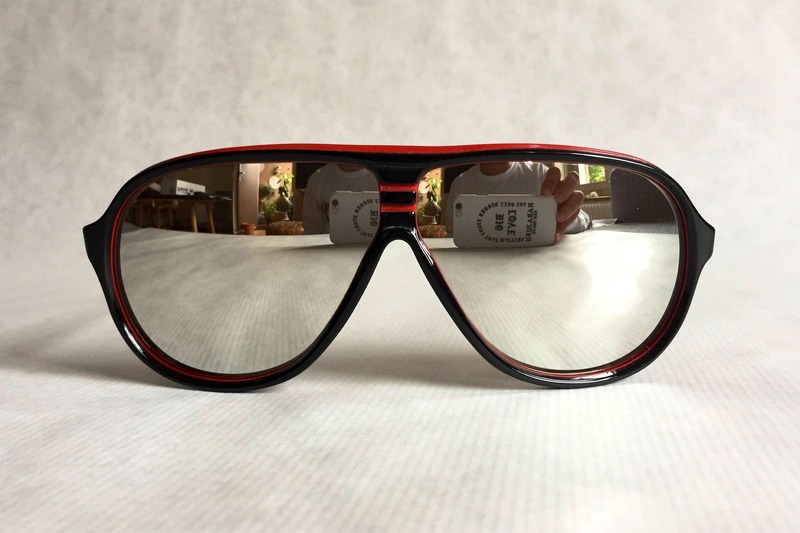 Lenses: Original silver mirror Neophan lenses with Neophan watermark and 100% UV protection. 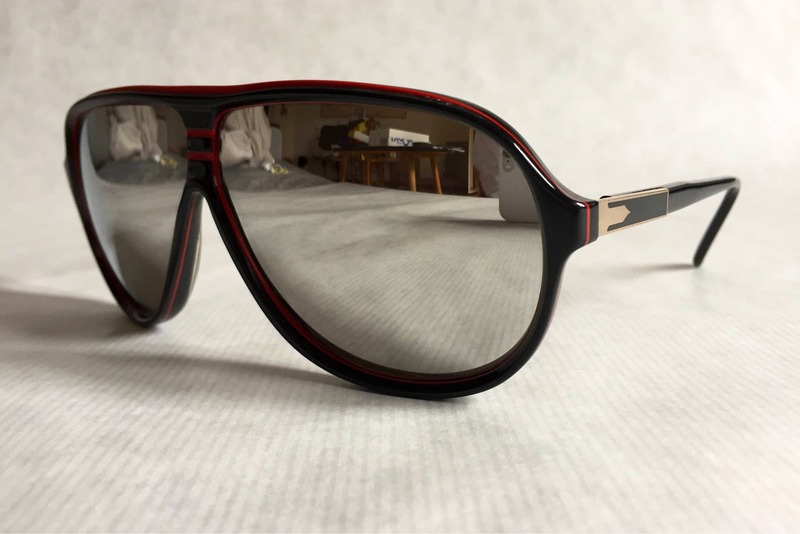 Including Persol Ratti 649 genuine leather sleeve and FPOS hardcase.